Vivo is no longer just another Chinese manufacturer trying to copy Apple; as a matter of fact, it has not only risen as a global smartphone OEM to reckon with, one can go as far as saying that the Chinese company has managed to beat both Samsung and Apple when it comes to introducing true innovation. 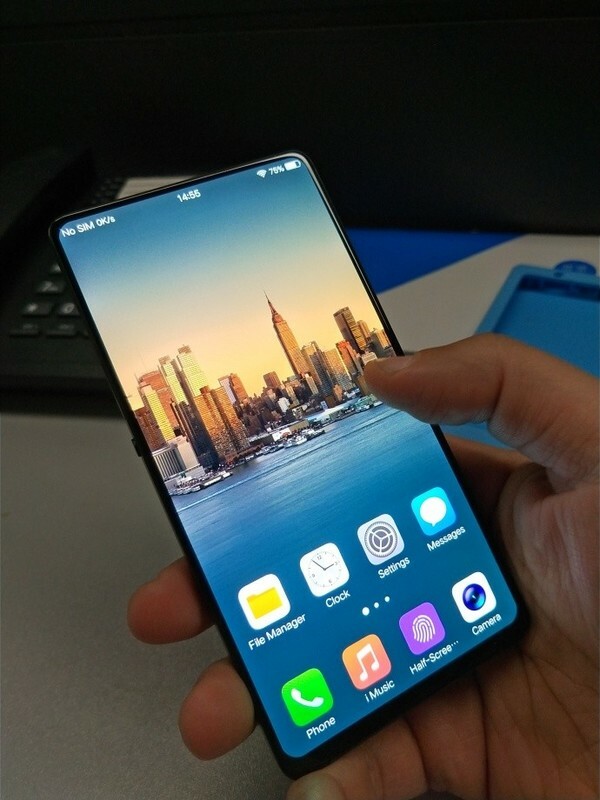 If you are wondering why anyone would think so, then you probably don't know that Vivo has already showcased the in-display, under the screen fingerprint scanner with its Vivo X20 Plus UD smartphone, that both Apple and Samsung have failed to do, even after repeated attempts by the latter in the last year or so. 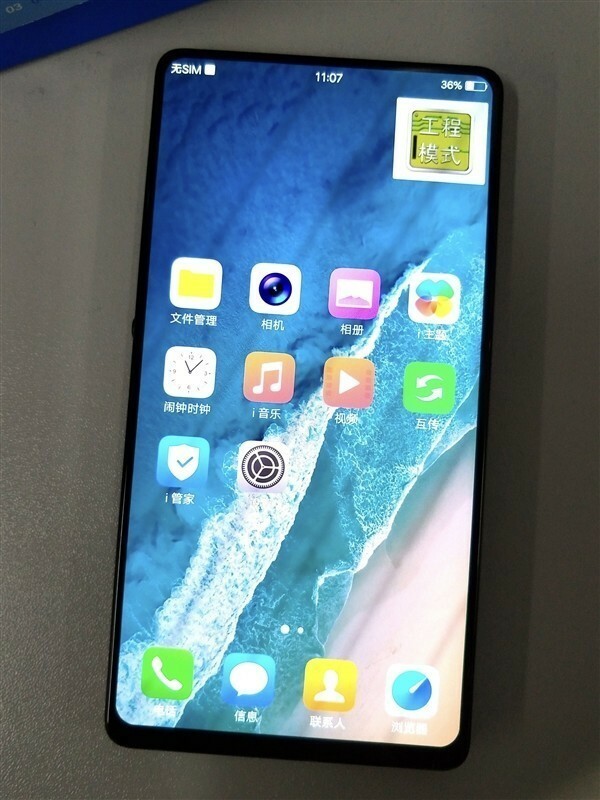 As if that was not impressive enough, take a look at the leaked shots of this smartphone from Vivo, which will likely be coming in with the in-screen fingerprint scanner and this gorgeous, truly bezel-less display. Sources are unsure whether this is the Vivo Xplay 7 or not, but it could very well be. 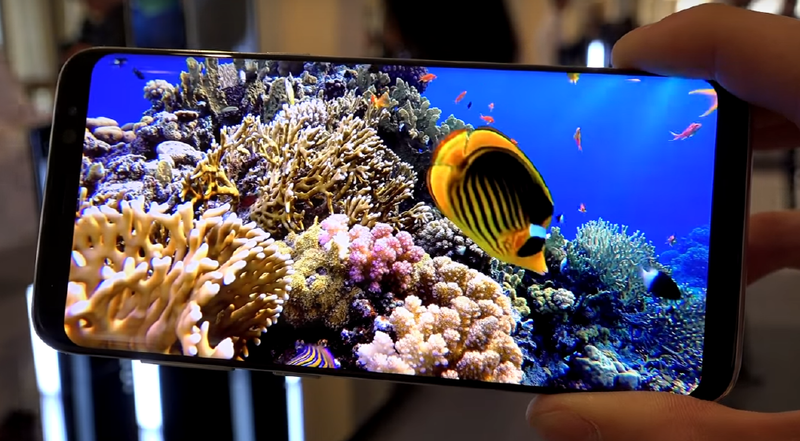 It would be really interesting to see if Vivo also packs in a 4K resolution in that beautiful display, just like the rumors had been predicting. If they do, that would make Vivo the only company apart from Sony to have a smartphone with a 4K display. 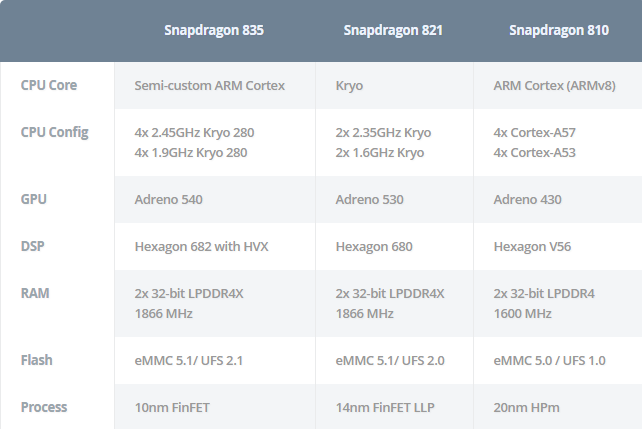 It is quite possible that the upcoming Snapdragon 845 SoC will be powering the device as well, alongside an internal storage capacity of 256GB/512GB. Would you buy this beauty if it became available in your country? Mobile phones are a ubiquitous sight for people to see. We encounter them frequently, and they're used for a wide selection of different tasks. 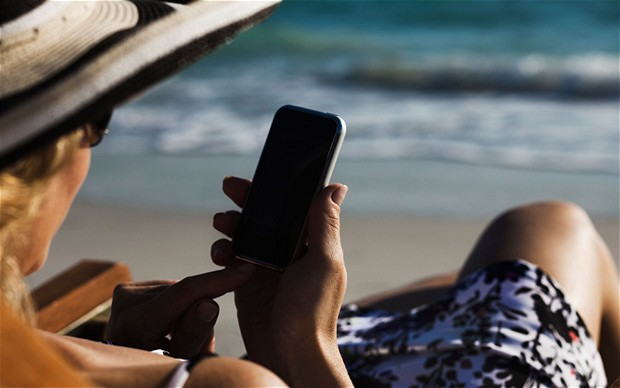 However, how many people actually know how to get the most from their phone? It's relatively common for people not to understand how to utilise a phone in the best possible way. We presume that they're automatically set up to make our lives as easy as possible, but this isn't always the case. In a lot of cases, you have to really know a trick or two to make sure that your phone is optimised correctly. Sites like Fonehouse have heard many different ideas for how best to try and make the phone the best possible thing it can be, and we're going to be looking at some of them here and now. Music, photos, important business documents. They're all things that we can access without a moment's hesitation, but they're not permanent. If you drop your phone, damage it or expose it to water, you can lose everything. This obviously isn't something that you want to happen, so you need to make sure that you backup anything that you can't afford to lose. It protects all the things that you want to keep in the event of them perhaps not being available to you. Technology is far from perfect after all, and in a world of bugs and faults, there's never been more of a need to stay secure. A lot of the core apps provided to you by your phone will be pretty useful. However, perhaps it's time to consider something other than Safari for your iPhone. Every browser will offer you a different and possibly better experience. For example, Google Chrome allows users to view tabs that they have open on another device. It's worth taking the time to look around and see what is available to you regarding browsers, and even consider alternatives for other things as well. Perhaps a more specialist reminder application, or a music provider that works for your lifestyle. Trawling through pages of apps can be an absolute chore to try and do. When you're just looking for one application in three or four pages worth, you soon find yourself wishing for an alternative. This is where folders come into play. They're designed to help you sort applications based on their usage and characteristics. They can be and often are your best friends, so it's worth taking the time to stop and look at how you can arrange things. Shortcuts are designed to help us get to various parts of our phones without having to navigate through hundreds of different menus. A lot of home screens on phones, especially those made by Apple, are designed to make it so that people can get around their phones with ease. Plus, a lot of them can be customised and changed to suit the needs of the people who are using them, so it's perfect for so many different people to use. If you don't use your home screen all that much, you should definitely look into how you can customise it to suit your specific needs and requirements. All things considered, sometimes it's best to keep your phone as simple as possible. The more applications that you have on the phone and the more you try and do at once, the higher the risk of something going wrong. Sometimes the best way to do things is to keep it simple and straightforward. This is achieved by limiting the number of apps you have open, and not pushing the phone too far. All in all, these are just a few of the different things which you can do to make sure that you are getting the most from your phone. 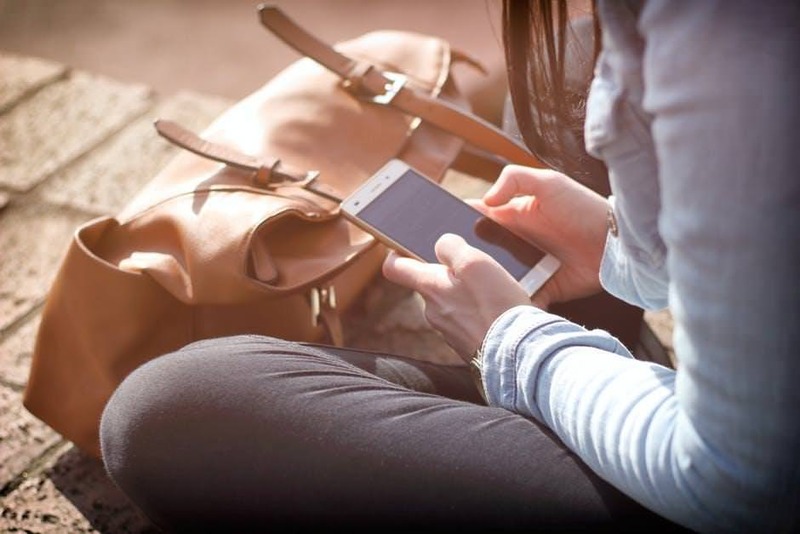 Because we all use our mobiles so often, it is so important that we take the time to make the most of the phones that we have. Despite what we would like to think, our phones aren't actually always set up to make our lives the most convenient that they can be. This requires us to tailor all of the various functions and features of the device to suit our own unique needs and requirements. Only by doing this can we expect to have a phone which is convenient, highly intuitive and attuned to our lives. We knew it was coming and now it's official. 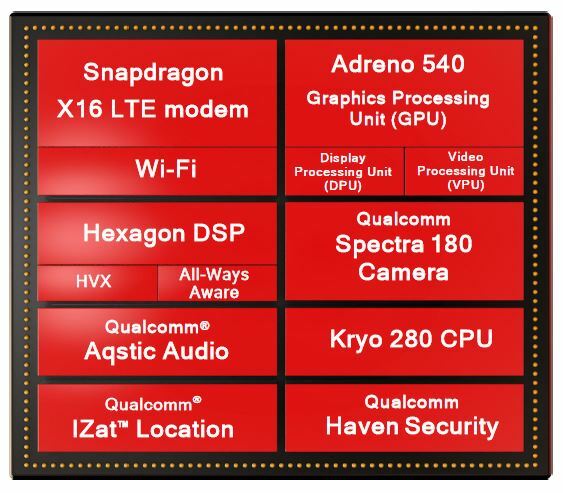 Qualcomm has publicly detailed the specifics of their latest flagship chip, the Snapdragon 835. It will allow smartphone manufacturers to utilize better technology and equipments in the mobile phones of 2017 in terms of photography, machine learning and displays. The CPU in the 835 chip is an octa-core, semi-custom Kryo 280 CPU core design with possible ARM Cortex-A73 cores powering it. The Kryo 280 system is divided into four cores with 1.9GHz clock speed for efficiency and four cores with 2.45GHz clock speed for performance. Take a look at the image below to understand some of the differences between the SD 835, the SD 821 and the SD 820. Apart from providing a boost of about 20% over the SD 820, the SD 835 will also allow for much better battery efficiency. 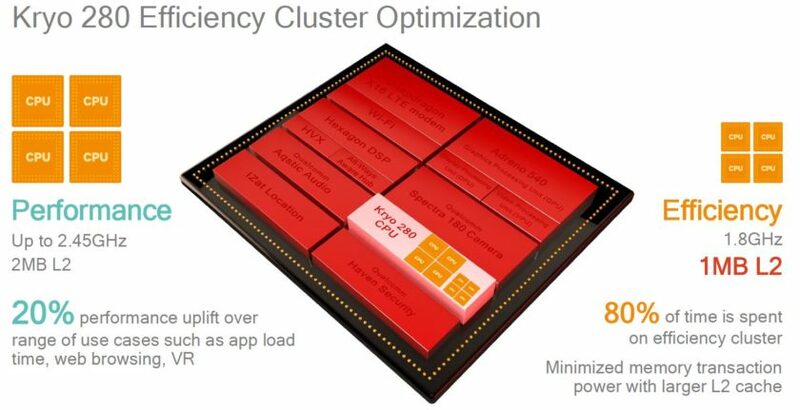 Qualcomm expects that around 80% of all the tasks usually performed by a smartphone will be handled by the comparatively low-powered CPU cores, thereby providing an additional two and a half hour of battery life, as compared to the SD 820. Let's not forget that all of this has a lot to do with Samsung's 10nm FinFET process, on which the new chips are being built. 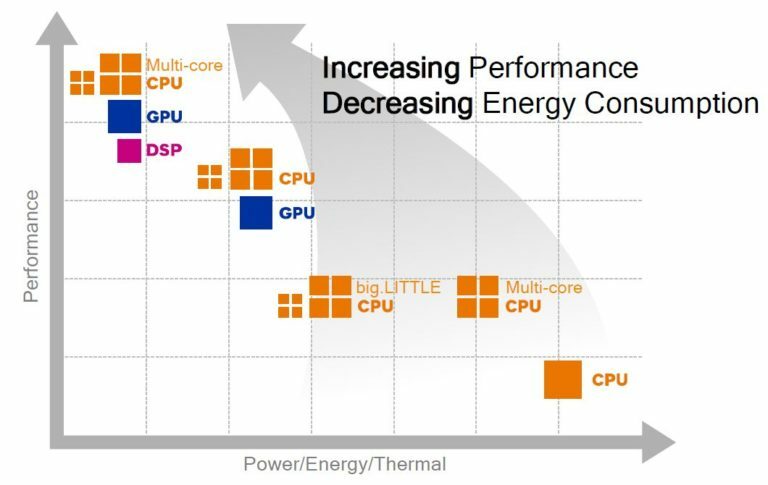 The Adreno 540 GPU is similar to the Adreno 530 in architecture, but the faster trilinear filtering and GPGPU compute will lead to a 25% performance boost over the older GPU. In terms of display, it can support 10-bit color at 4K resolution with a constant 60fps frame rate. 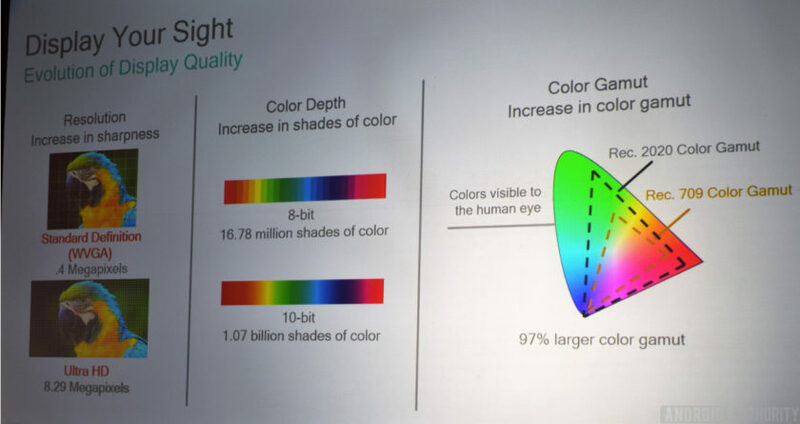 The Adreno 540 GPU can now handle 107.4 million colors (previously 16.8 million) as well. In summary, we would say that the Qualcomm Snapdragon 835 is the most powerful and revolutionary mobile chip yet. If you are interested in more technical details, check it out here. A company called ecoATM recently conducted a survey of 1,050 Apple iPhone owners age 18 or older. This survey revealed that most of the respondents are very loyal to their current iPhone. 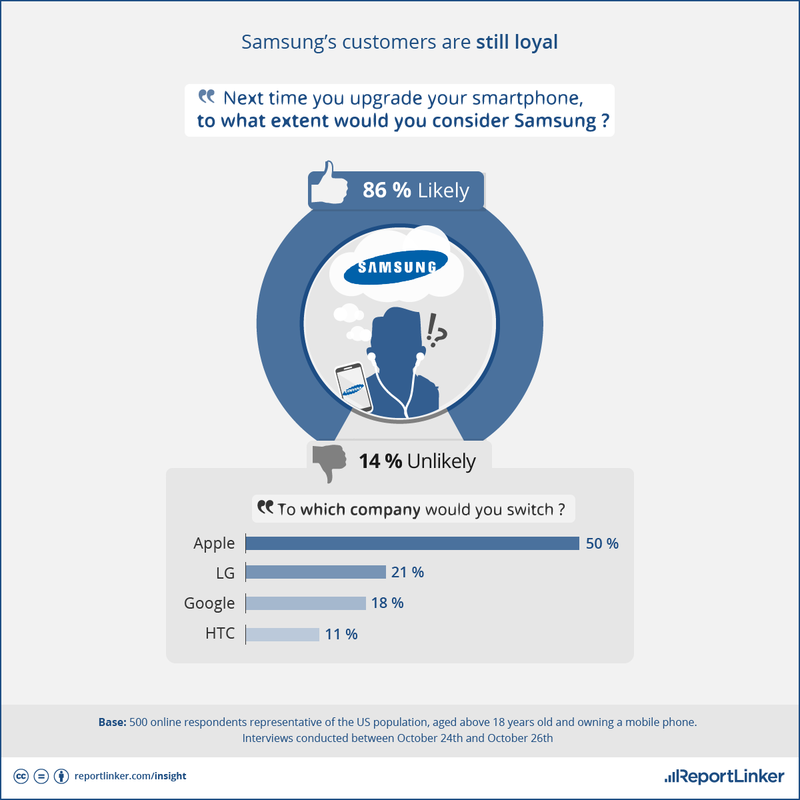 When asked what new feature would make them switch from their current handset to the Samsung Galaxy S6, 26% said that nothing could get them to swap their current handset for the new S6 flagship. 32% said that a lower price point for the Galaxy S6 could entice them to switch. 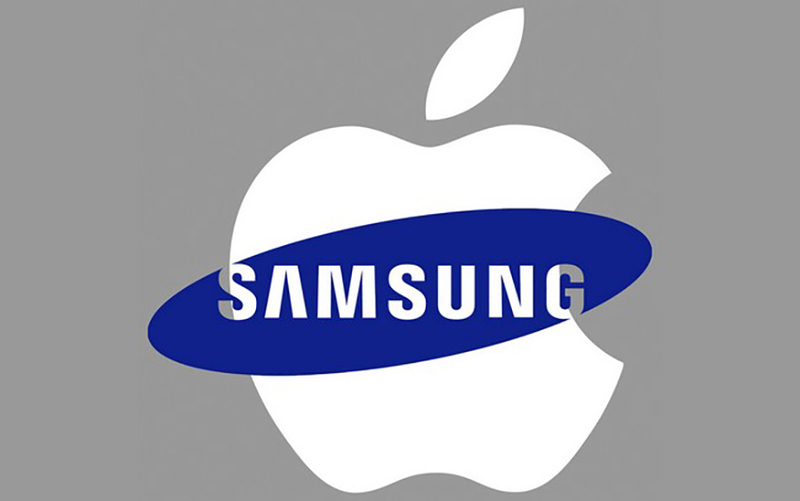 What would it take for an Apple iPhone owner to switch to a Samsung phone? According to the same survey, 24% would do it if it were a free swap, and 16% would make the trade if the Samsung handset was offered to them at a lower price point. Outside of pricing, 21% would swap their iPhone for a Samsung branded smartphone based on the latter having a longer battery life. 18% would do it for a larger screen-size and 3% would make the change if they saw a celebrity using a Samsung phone. By the way, 16% of iPhone users surveyed said that they would never exchange their iPhone for another smartphone under any condition. So what is it that prevents iPhone users from switching to a new phone? A quarter of the respondents with an iPhone said that the fact that their friends and family have one is a reason not to switch. 21% cite the better features on the device as the reason why they stay with it, while 19% say they exclusively use Apple products. 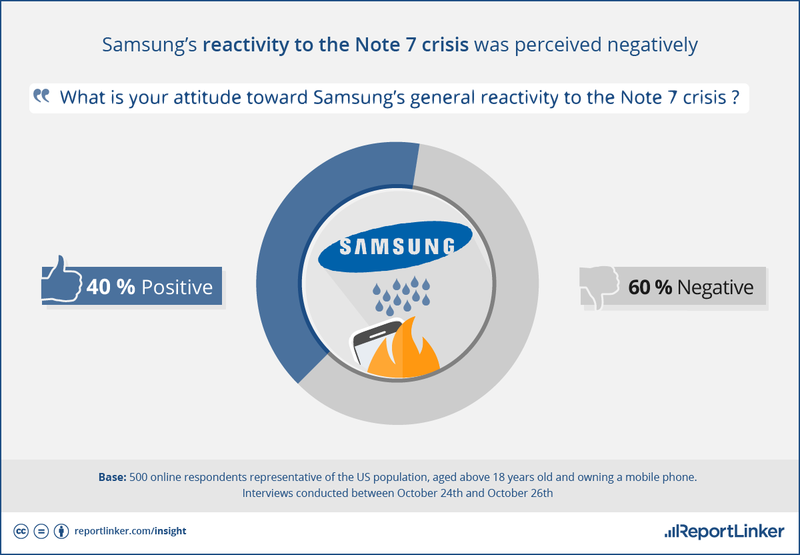 Ever since the Note 7 disaster, reports and surveys have been rampant, as well as conflicting. Just the other day, we were hearing about IDC's report which stated that roughly half of the Note 7 owners may switch over to the fruity side (read Apple iPhone 7), while today, we have a report from ReportLinker that says otherwise. 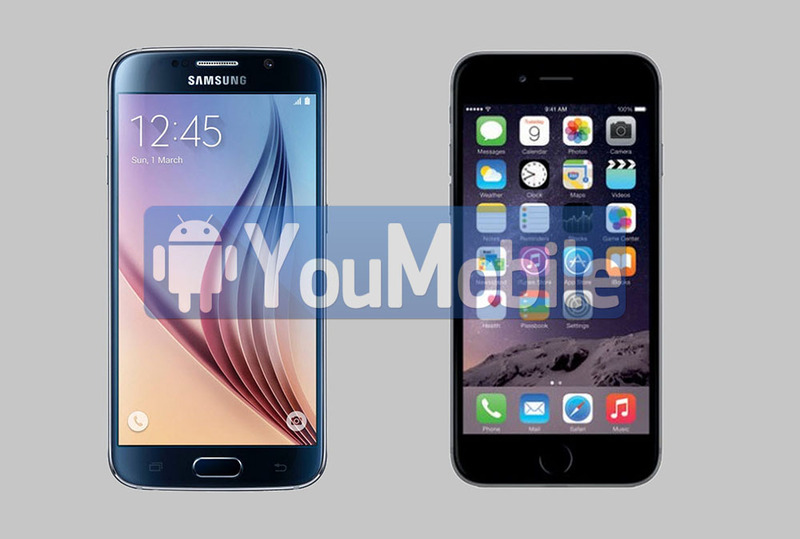 This particular survey was conducted on 500 smartphone users in the US, over the internet. While a majority of the customers (60% approx.) felt that Samsung did not handle the Note 7 recall episode well enough, about 86% of the survey population stated that they would still consider Samsung smartphones the next time they decide to buy a new phone. 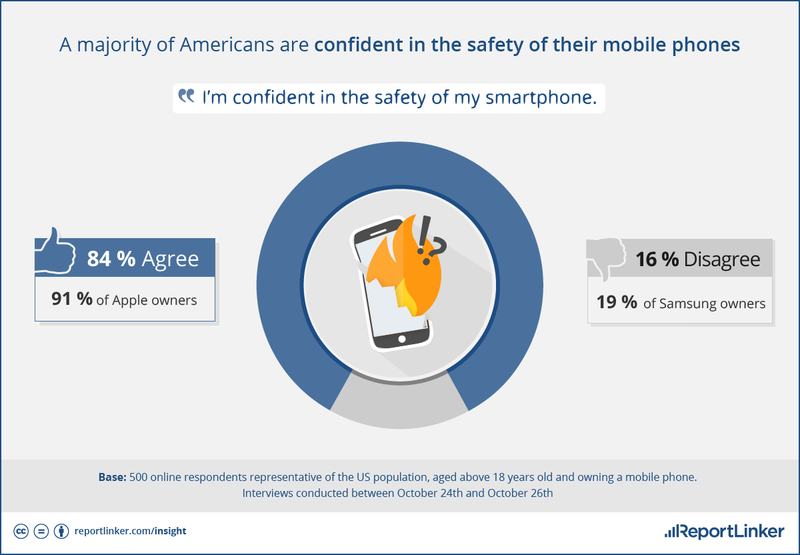 In fact, 84% of the people voted that they do not feel that their smartphone poses any kind of risk to them. Provided that Samsung manages to deliver a product that we had come to expect from the company before the Note 7, the Galaxy S8 seems all ready to lift Samsung up and out of the ditch which the Note 7 landed it in. A recent report based on a survey conducted by The Reputation Institute suggests that Samsung is the most trusted brand for teenagers and anyone else who was born in or after the year 2000. Considering the fact that no other smartphone manufacturer made it to the list apart from Sony, the report is an indication of the amount of trust that people put in the Korean manufacturer's phones. Even though Sony did make it to the list, we are inclined to believe that it is more due to their PlayStation line of products than their smartphones. This survey and its results are based on the quality of the manufactured products, employee treatment, innovation in the specific line of business and the conduct of the company as a corporate member of the United States. 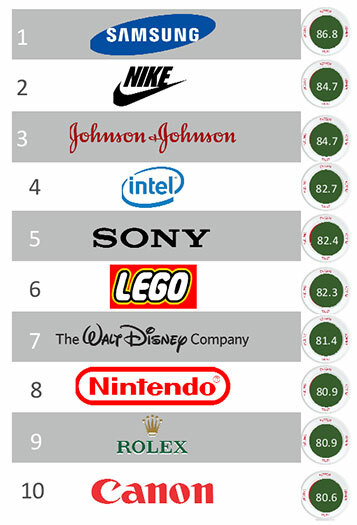 In all their studies across the country on millennials (people born on or after the year 2000), The Reputation Institute found that while shopping, most of them had an affinity towards the products that were made by Samsung. Samsung is also one of the most successful companies in the US as a whole and this result just unveils one of the reasons as to why the MNC is so successful here. The S5 was released back in 2014 and three years later, it still continues to be on top of America's favourite list of Samsung smartphones. One would think that after so much time and Samsung releasing significantly better smartphones since then, people would have moved on to something more recent, but you would be thinking wrong. 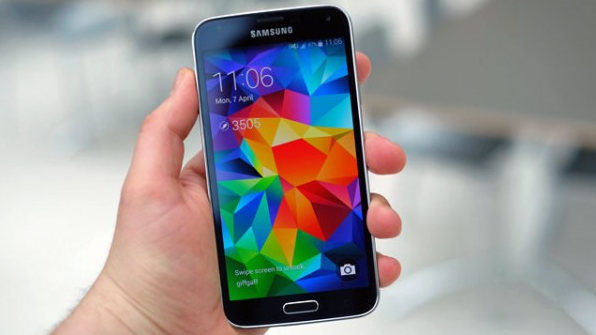 According to Kantar World Panel, 15.6% of all Samsung smartphone users in the US are currently using the Galaxy S5. The second and third places are currently being held by the Galaxy S7 (11.5%) and the Galaxy S6 (11.4%) respectively. The Galaxy S7 Edge (5.8%) is surprisingly in the fourth place, in spite of the curved variant being reported as being more popular earlier. If you are as surprised by this little revelation as we are, then consider the fact that these are the figures AFTER 28% of Samsung users in the country just shifted to a newer Samsung smartphone in the last 12 months! I always thought the Galaxy S5 wasn't much of an upgrade from my S4 back in the day; guess people don't exactly agree, at least not in the US anyway. While the Galaxy S8 is without a doubt a pinnacle of achievement for Samsung Mobiles, it isn't without its flaws. However, I think one of the biggest flaws in the Galaxy S8 is not the fingerprint scanner but the way they managed the whole affair with Bixby. After investing so much into marketing their AI assistant and giving the phone a dedicated hardware button which just simply cannot be remapped to anything else, the S8 and S8+ were launched with a voice assistant that had no voice capabilities! 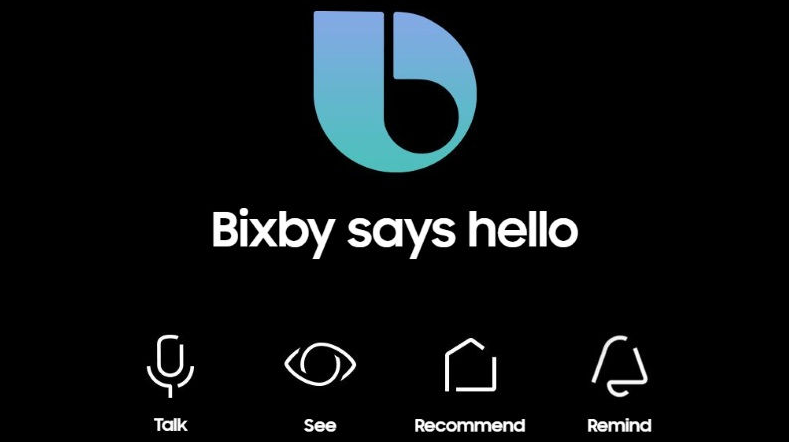 Unfortunately, as per the Korea Herald, if you own a Galaxy S8/S8+ in the US or in any of the other English speaking nations around the world, you will likely not be seeing Bixby anytime soon. In order to understand what exactly went wrong here, take a note of the following points. If you are wondering when you can expect Bixby voice communication to finally make its appearance on your S8 or S8+, the time is expected to be somewhere during the fourth quarter of the year. If you thought that tablets are way too flimsy, Samsung has just released the Galaxy Tab Active 2 which can take a hit and then some! Exclusive to the US, the device is internally the same as any other Galaxy Tab 2, but on the outside, it's quite literally a beast. The MIL-STD 810 certification guarantees that the Galaxy Tab Active 2 can survive through high pressure, extreme temperatures (hot or cold), rapid vibrations and even drops from heights that would shatter other lesser tablets. Additionally, it also sports a standard IP68 rating for dust and water resistance. 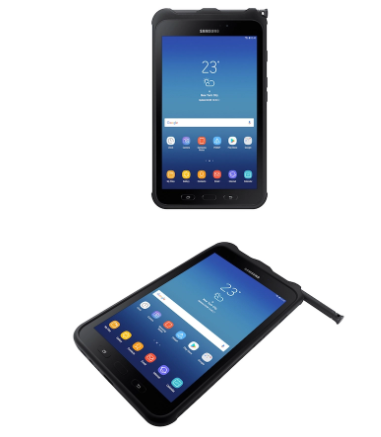 While we all would like our devices to be a bit sturdier than they generally are, this may seem a bit excessive to many, until they realize that Samsung has a specific crowd in mind for the Galaxy Tab Active 2. Apparently, this is tablet for employees who must work in the harshest of conditions. While targeted primarily at businesses, those that love camping, trekking and mountaineering might have use for the tab Active 2 as well. Eager stock market analysts have been quick to pour over the latest Q4 2015 SEC filings from Alphabet, Google's parent company. The market responded quickly with both the Class A and Class C stock trading up to a $750-780 price range. This makes Alphabet not just good at letters, but also with numbers as it now eclipses Apple's market capitalisation to be the most valuable company in the world. In fairness, Apple's earnings were showing signs of hitting a plateau with its iPads not selling as many units as they once did as interest moves more to the phablet-size phone market and away from larger tablets which are less convenient on the run. Investors in Alphabet were quick to double down on their positions and others buying into Alphabet for the first time on the positive trading news. Alphabet revenues year-over-year rose 24% compared to 12% the previous year. The source of the accelerated revenue growth has been primarily from advertising. The picture is a mixed one through with ad clicks rising by 31%, but the cost per click for adverts falling by 13%. Overall, Alphabet still came out ahead. The company also noted on a recent call with investors that Gmail, its email service, now has more than 1 billion active users each month. That's active users, not open accounts. Only What's App and Facebook can say the same. Let's get this out of the way first; the iPhone 7 has scored significantly more on AnTuTu than any other Android smartphone in existence till date. The 178,397 points that it scored according to a recent report is just off the charts. However, the new Apple A10 chip did have fewer pixels to push than any of the flagship Android handsets on the list as the iPhone 7 only sports a resolution of 750 × 1334. In spite of that, it is currently the reigning king sitting on top of the list (unofficially for now). 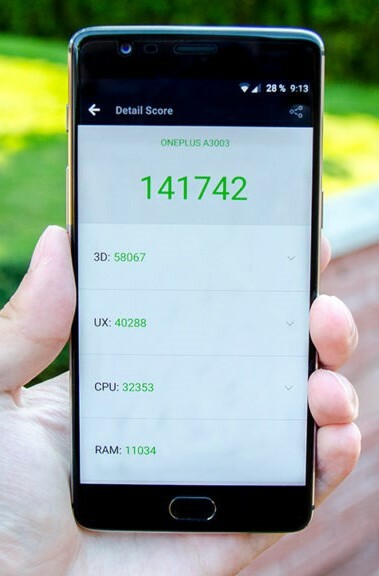 That being said, Chinese handsets from manufacturers like Xiaomi, Vivo, LeEco, Nubia, Lenovo and of course, OnePlus are on top of the AnTuTu score chart when it comes to Android devices. 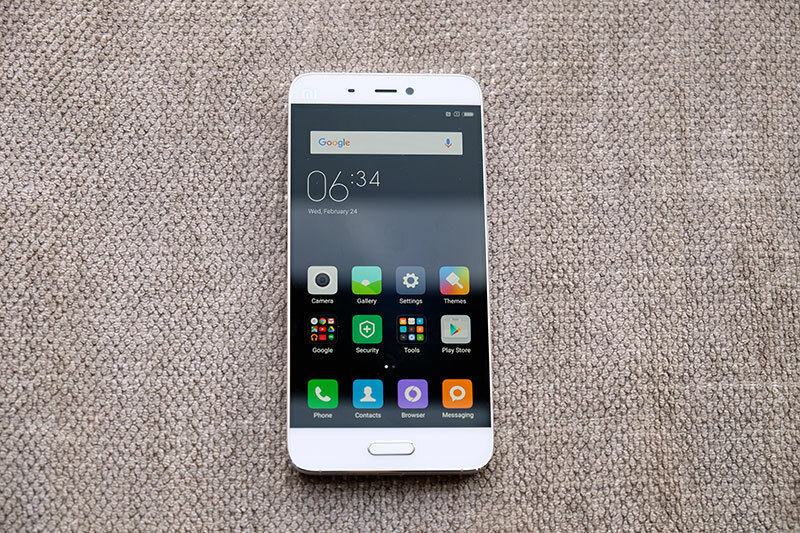 The much loved OnePlus 3 leads the table for now with a score of 140288, followed by the Vivo Xplay 5 Elte (138,706), the LeEco LeMax 2 (138,026), the Nubia Z11 (137,685), the Lenovo Zuk Z2 pro (136,853) and the Xiaomi Mi5 (136,773). It is a bit surprising to see the Samsung Galaxy S7 Edge trail so far behind at the number 7 spot in 2016, because the S6 was leading the pack last year convincingly at one point. Since these Chinese smartphones are a lot cheaper than the ones made by Samsung, in spite of being manufactured with quality hardware, are we witnessing the slow rise of new leaders in the smartphone industry? When it comes to any kind of sport in this day and age, the most popular way to stay up to date with the latest goings on is through mobile apps. Apps allow audiences to get access to the latest fixtures, results, videos and even live streaming from wherever they are and whenever they want and there are some seriously good racing apps out there. So, let's take a look at the best available to download right now. Formula 1 is one of the most popular sports on the planet. The thrilling high-octane action has entertained people around the globe for years and the Formula 1 app is perfect for those who are wanting to get closer to the action. Fans can catch up with the latest news, features and videos, while also having access to live leader boards during race weekend. There's also a subscription option to take you even closer to the action, with interactive 3D driver tracker maps, in corner analysis and much more. The Racing Post is an established name amongst horse racing enthusiasts and has been for a number of years. It's made a seamless transition from paper form, to online and now to mobile, getting better every step of the way. You can bet on races direct from the app, no matter who your bookmaker is, and there is all the information that you could ever need, from cards, form and results. There are also great live streaming services as well as an excellent tipping area, with experts having their say on the upcoming races. 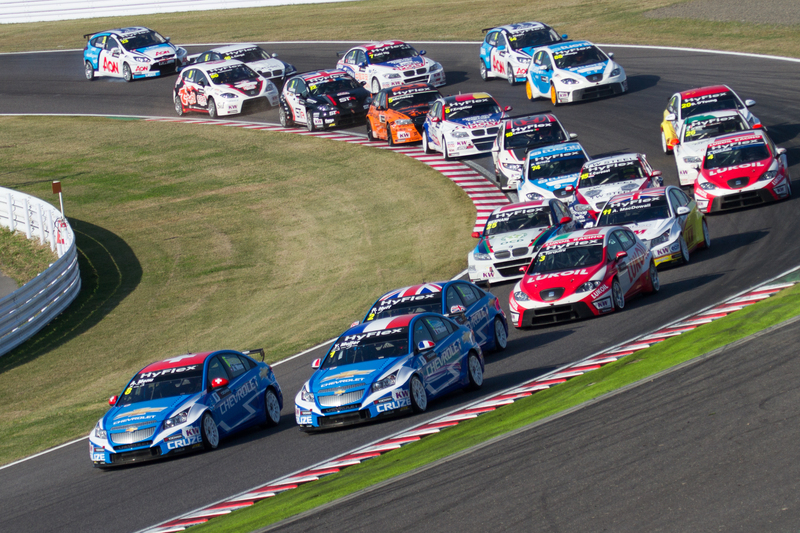 Nascar racing provides some of the most exhilarating racing action on the planet, with fans regularly tuning in to watch the Monster Energy Cup, the Xfinity Series and the Camping World Cup series. With so much going on, fans need a one stop source to get the latest on the latest, and the Nascar Mobile app is certainly up to the task. There are numerous free features for everyone to explore such as live race, qualifying information and live in-car driver cams. There are also premium features to subscribe for which include live driver and officials audio. Like horse racing, greyhound racing has a lot of fans around the world, especially in the UK and America. The Racing Post, leaders in the horse racing industry, have their own app out on the market that deals specifically with greyhound racing. Like the Racing Post app users can bet directly from the app itself, which makes betting on races up and down the country, as well as abroad, effortless. Followers of the sport will also be able to find the latest news, race cards, form and results from the app too. All of this info will be useful for those who want to have a wager, which can be done at any reputable online bookmaker such as Betpoint. Furthermore, there is a live streaming service that is available six nights a week too, taking you even closer to the action. It is an undisputable fact that mobile applications have penetrated into every modern person`s life. They are interconnected with almost every aspect of our everyday routine - from checking the weather to unlocking the house entrance door. However, first mobile apps were created for entertainment purposes only. They fulfilled simple functions, suchlike calculator or music player. 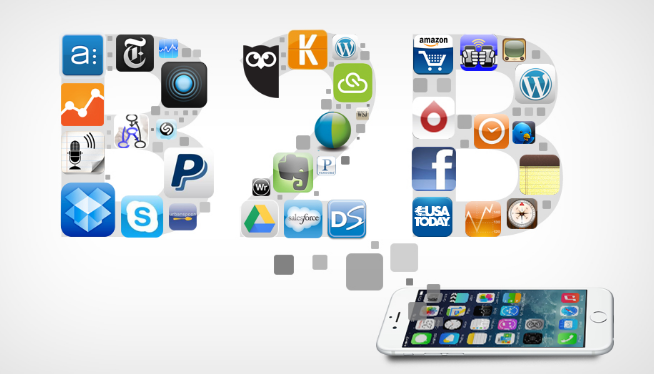 In the late 20th, the tendency of implementing mobile applications into businesses tended to grow. Surely, they possessed only a limited variety of functions, because of Java programming language constraints. However, on the other hand, they attracted more and more buyers to their owners, even if they were offline and could not intend a person to buy goods or services. Nowadays the situation has changed expeditiously. Thanks to the development both of the Internet and mobile platforms, applications for smartphones became a "must-have" option in the entrepreneur toolset. As Bill Gates said, "If your business is not on the internet, then your business will be out of business". 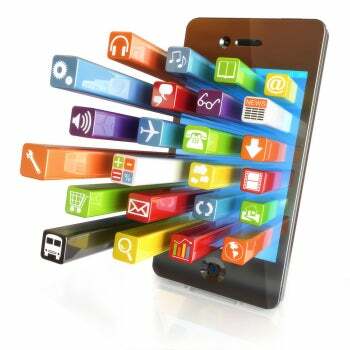 Do you still hesitate on creating a mobile application for your enterprise? Here are 5 basic tips on how you can improve your business process with a mobile app. The evolution of smartphones began in the 2000s, but it`s supremacy over common computers has established only in the 2018 year. Globally, in April 2018 mobile traffic took more than 51% in the share of the worldwide web traffic (Statista.com). What is the reason? Allegedly, using a cellular phone for accessing web pages is more feasible than a standard PC. It is explained by an absence of expensive equipment, the necessity of installing huge devices, wiring the house and electricity usage. People prefer to stay connected anytime. Thus, the number of population, who use a smartphone, outweighed the market of simple laptop users. Nevertheless, what does it mean for you as for an entrepreneur? We can highlight only one important thing - having only a website is not enough to compete properly with your rivals. In other words, mobile application concept has changed. It transferred from an outstanding feature that only mega-sized companies could possess to the mandatory part of every concern. In order to attract customers, you need to fulfill their demands - and the majority of them prefer accessing your company remotely with their gadgets. So why do you still lose a half of your potential customers? Always be in touch with your clients. One more feasible feature of modern cellular phone software are push-messages and information collection system. This technology establishes a direct connection between database and clients smartphone and gives you a possibility to interact with your customers at any time. To make it more distinct, a bright example is social networks. If you receive a message on Facebook, your mobile phone will immediately react and depict a notification for you. So, why not to make friends with your clients in the same way? Push-messages allow you to inform your customers about discounts, upcoming novelties, changes of working hours, the status of clients, good delivery order etc. Moreover, it is interactive. It implies that application gives you a possibility to review how many customers have visited your page after receiving a push message and how many of them ignored your letter. 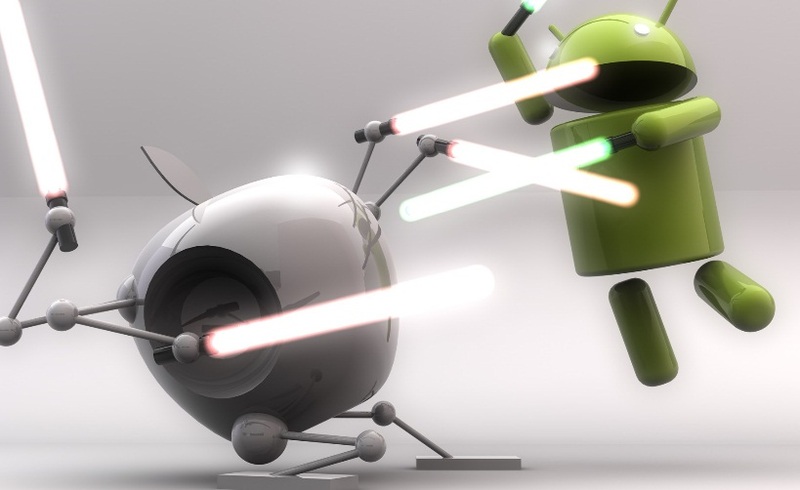 As a smartphone usually allows a developer to access basic information about a user. You can diversify the schedule of notification for different target groups. For instance, you can track that an individual customer is highly interested in sport's shoes. Use this information! Thus, you`d better notify him/her about an upcoming supply of new shoe collection in advance - he/she will be totally pleased having an individual approach. On the other hand, an adverse effect of push-messages is that people can find they annoying and repulsive. And it is not unreasonable. Unfortunately, the majority of IT solutions send too many notifications to users, so the latter prefer just to turn it off. In order to avoid it, assure that your messages are feasible and informative at the same time, and they do not appear on the screen constantly. Also, take care of making the info as short as possible. Finding the lowest common denominator about the number of suchlike notifications may take some time, but it totally worth the efforts. Regardless you are a pioneer or a professional executive, you need to make your company became prominent in the background of other rivals. One of the most lucrative ways to intensify the development of your company is to enhance customers' loyalty to your brand. And business apps are exactly the tool you need. First of all, your logo will be shown every single time user unlocks a smartphone. He/she may not even contemplate about it, but it makes him/her remind your company subconsciously. Thus, you do not need even to promote it - users just get used to seeing it frequently and surely recall your logo when they face it somewhere else. 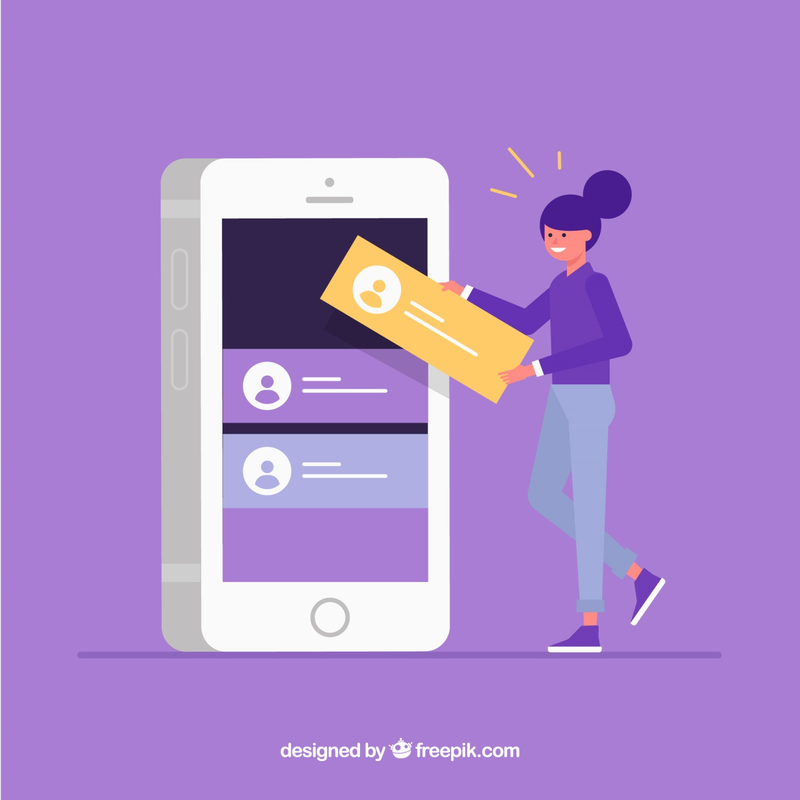 Furthermore, considering the fact that push messages are accompanied by depicting the logo of an application creates a notification, users are likely to accustom to your brand. Integrate your application with a website. As it was told some paragraphs above, having only a website is not enough to compete properly on a contestant market, but the mobile app is not the resource that can fulfill your needs by itself solus. A silver bullet is to combine and integrate both of them. It can be done using new interactive platforms and programming solution. In order to figure out which features better suit to website or application, try to order a SWOT and PEST analysis at AuEduBirdie service, also you will say: "I would prefer to pay someone to do my assignment" and you will be right if you choose this service.It will provide you feasible information regarding which services are better used within surfing website and which ones are better perceived on the screen of a cellular phone. What is more, you can also establish some kind of social network. Just provide clients with a possibility to create their own profiles with personal data and rating system. Clients are more willing to trust people who have already purchased the same good/service as they are going to. Live feedbacks are a brilliant motivating factor to make sure the description mentioned on a website perfectly suits real conditions of a good or service. The last but not least is a matter of expenditures on posters and advertisement within the marketing company in a destination place of distribution. The mobile application provides you both opportunities to save money and even to earn them. This explains the high demand for it among modern businesses. It gives huge benefits in terms of cost reduction. If your boss is willing to plunge your expenditures exponentially, pay attention at mobile ad services. For example, mobile ads generated roughly 80 percent of Facebook's $5.6 billion ad revenue (Entrepreneur.com). You are able to spend your money on advertising more lucrative than usual. The milestone of this method is that you are provided with advanced targeting tools. It allows you to diversify your buyers by age, gender, weight, height, living place etc. Thus, you can spend less money and efforts. But at the same time, you perceive the same performance as using traditional advertisement. In other words, if you choose mobile ads, be assured that the money you spend will totally for you. Contrariwise, if your app is created not to attract customers but to generate high revenue, you can always install ads service within your application. It is for free and does not require any knowledge of programming languages. You will get paid each time your client click on the banner of another company appears on the screen. A good example is educational applications. Each time student calls an app to figure out a formula or a rule, he/she watches a promo of other usable platforms for learners. The mobile application is a necessary tool for every entrepreneur nowadays. If you are willing not only to stay afloat on a market but to expand your business and make it more profitable, then you should contemplate an app for your demands. Deliver personalized offers to customers and consider theirs. Remember to strike the right balance in messaging your clients and processing an information you receive from them. NVIDIA showcased the ultra high-end Titan X graphics card during a press event in San Francisco. The company's CEO boasted that the newcomer is the most advanced GPU the world has ever seen. 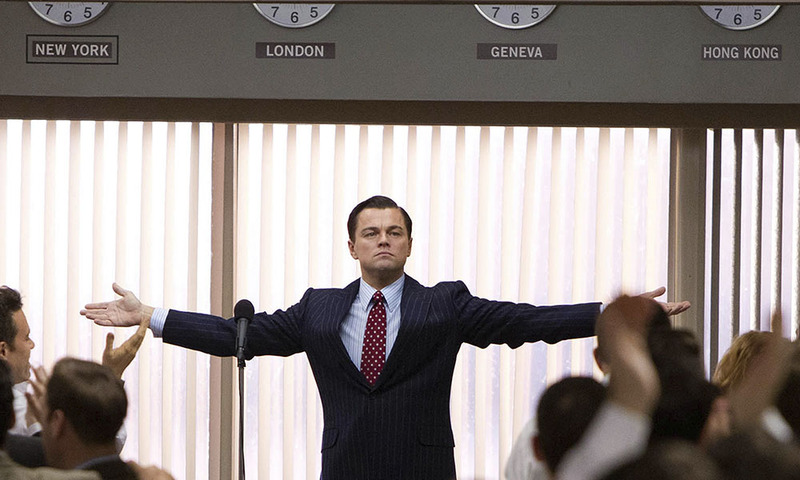 Titan X is built using NVIDIA's Maxwell architecture. 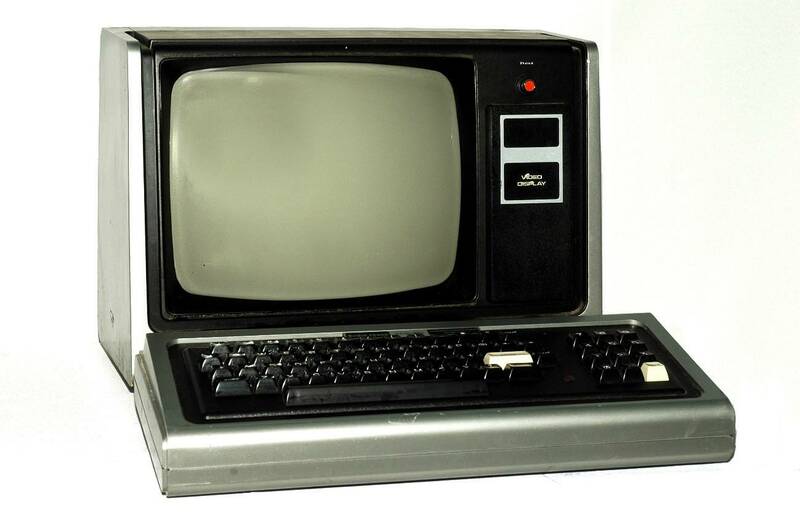 It packs 12GB framebuffer and 8 billion transistors, which took thousands of engineer-years to build. 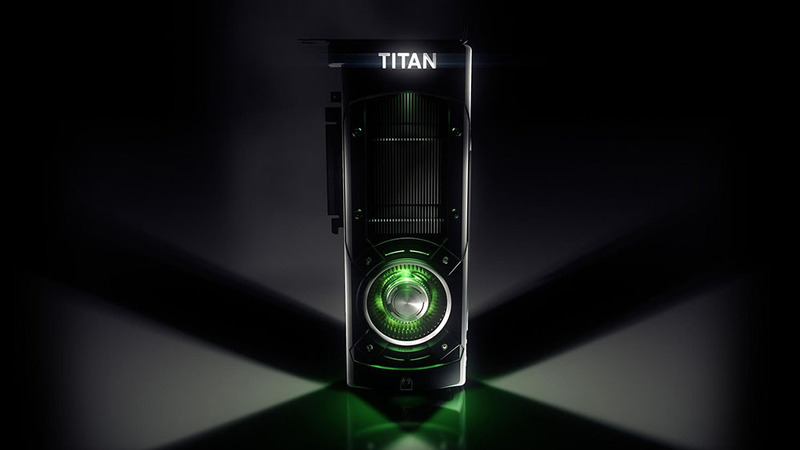 NVIDIA Titan X will be used to deliver a new virtual reality experience at an eye-popping 90 fps. More details on the new graphics card will be available in a few weeks. 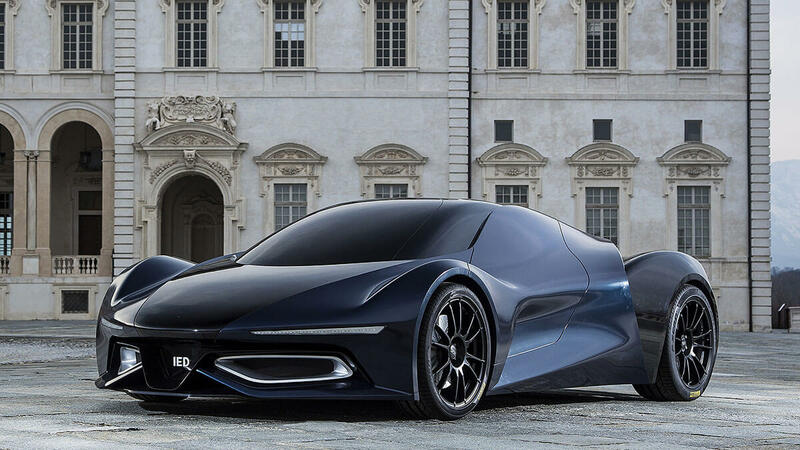 Milanese design school IED - Istituto Europeo di Design - reasserts Italy's heritage of car manufacturing with the Syrma concept car. 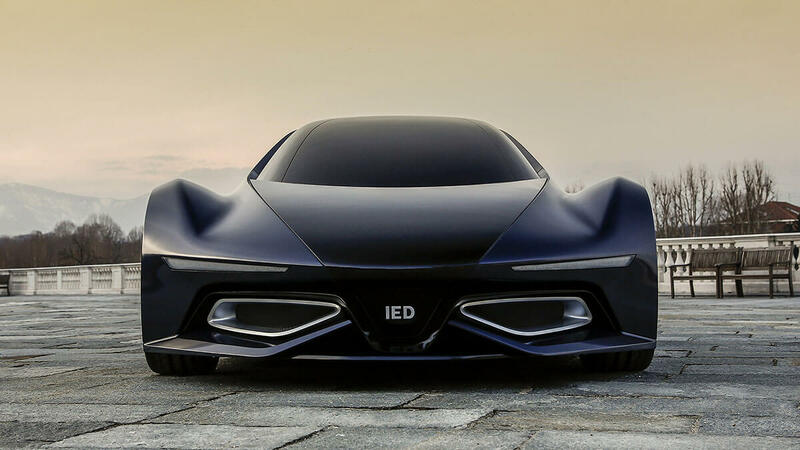 Working alongside motoring publication Quattroruote, IED's Syrma concept presents an atypical automotive configuration in a number of ways. 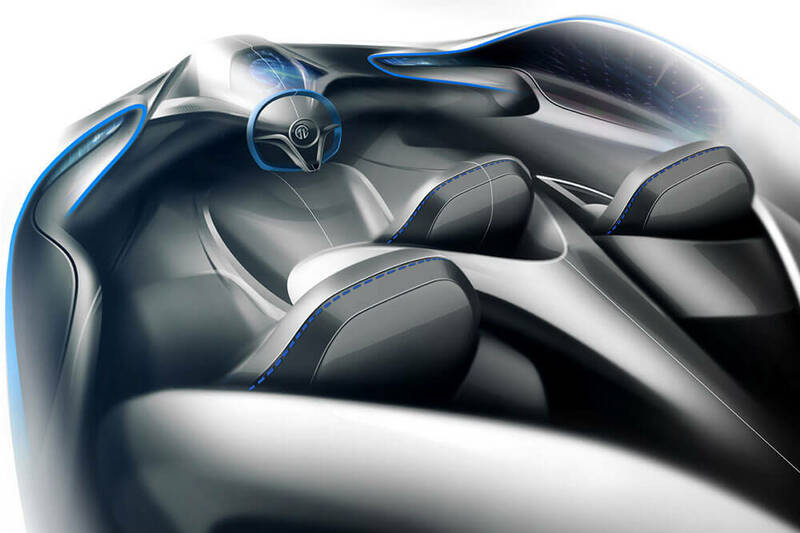 Starting with the interior layout that entails three staggered front seats with the driver's seat located in the middle, under the hood lies a hybrid engine with a V6 twin turbo, approximately 4-litre heat engine, and an electric engine that when combined courier an impressive 900hp to the gas pedal. When running on electric, the Syrma is entirely silent, that is aside from the screeching of rubber as you burn out of your driveway. 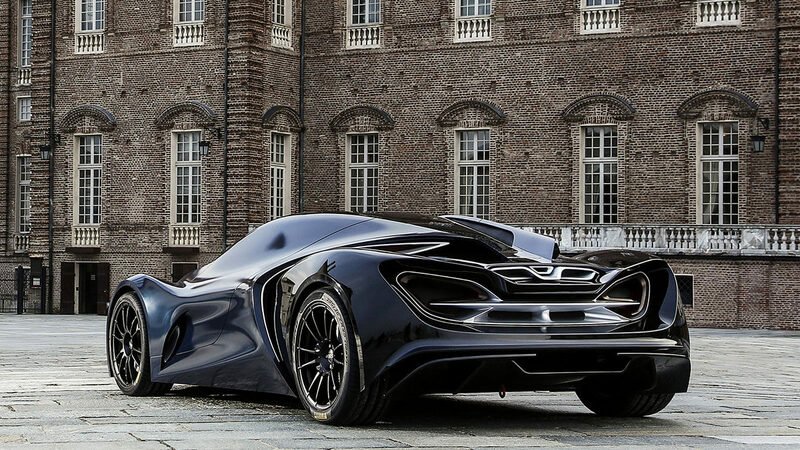 Created by 11 students as part of their Masters thesis, the concept was developed and then produced in full scale in time for the 2015 International Geneva Motor Show. Spanning from advanced technological adoption to rapid urbanization and industrialization, Africa has, in the last couple of decades, experienced a remarkable growth that today makes it stand out. Naturally, a land flowing with the metaphoric milk and honey, Africa's steady development is one for the books. While many may argue that there is still a gap between tech and infrastructural development in Africa and other continents, its resilience over the years and open arms to new and innovative technologies has shown that this continent might just sit at the top of technological advancements in the future. This is perhaps one of the reasons why the continent has witnessed an influx of startups willing to take it to the top. As a result, it has been noted to build strong startup culture in the last couple of years. In effect, venture funding shaped up 2018 to be a wonderful year and 2019 is appearing to be taking up a great form with many startups taking their place in advancing technology in the continent. While some of these startups have made the news at some point, there are some of them that rarely gets a mention albeit making waves at their position. This is why in this article, we will be pointing out some of the most promising tech startups that appears to be shaping up Africa's constantly developing tech ecosystem. Harnessing the power wielded by smartphones today, this startup works in expanding the business atmosphere in Africa by supporting the concept of Informal shops all across Africa. Sokowatch allows these informal shops top up their inventories with just an SMS or App while increasing their integrity by tracking orders and expanding business through value-added recommendations. This startup extends credit or more capital to these shopkeepers to further expand their business and cope with the ever-growing demand thus, bringing to mind Betway who developed an app which just as easily allows users amass their capital on gaming boards with just a click to their smartphones. Providing a boost and support for promising developers to expand and showcase their creativity, Andela has been steadily building Africa's tech ecosystem. Andela gives developers and companies a field for connection by creating teams made of a community of Africa's promising developers. Not only does it expand the tech culture in Africa by creating a basis for the extension of companies to Africa, Andela creates an opportunity for developers to get known and showcase their skills. Developed in 2016, this startup harnessed the power of Artificial Intelligence (AI) to support financial service providers. 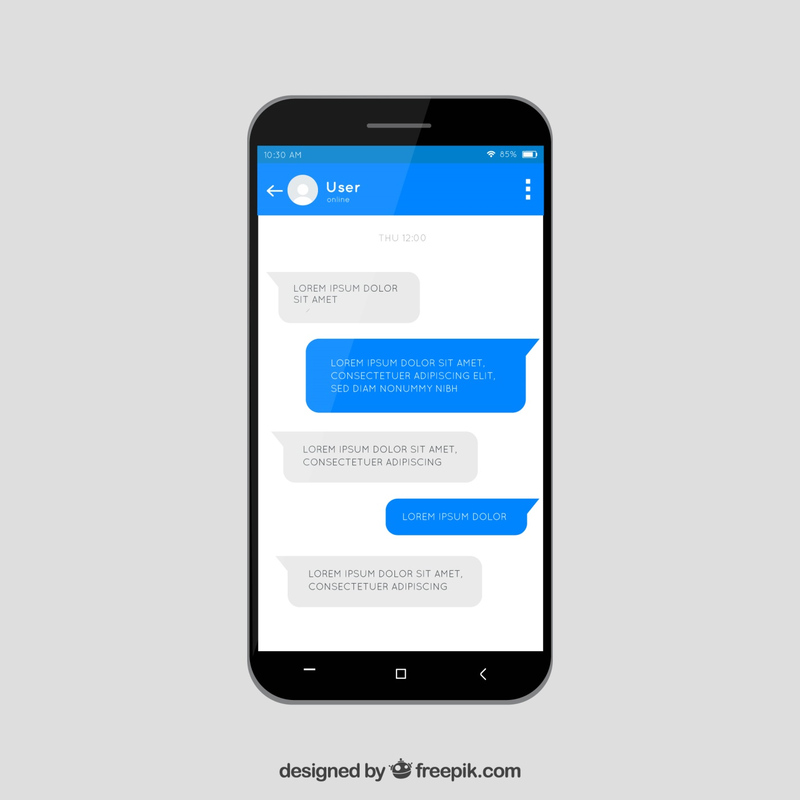 Creating chatbots, FinChatBot brought more attention to this technology by giving financial service providers the power to interact with clients via the creation better customer relation services with AI at its base. Though focused on the South African market, its plans of expansion are in place and is aimed to expand its services to sellers all across the continent in record time. This is one startup that hopes to bolster the link between standard healthcare services and promising technologies. This startup works in fostering a transformation in the access to healthcare through its launched database app. Relevant information, as we know it, is important in providing adequate healthcare services. Appy Saude gives users access to the medical and insurance specialties and services covered by healthcare centres. Integrating features that allow health personnel and users interact with just a click on their smartphone, Appy Saude has been working to make healthcare an easy feat. The startup is based in Angola and is aiming at expanding to other countries. CowryWise allows users save and invest through a secure and automated channel. With a portion of the world differential to banks, CowryWise brought the banks to people providing a service that allows users enjoy the flexibility of risk-free investments returns and saving their money at no cost. Established in Nigeria, this startup has been noted to have processed millions in savings for its users and has gained sufficient traction into the Silicon Valley programme while receiving funding alongside. 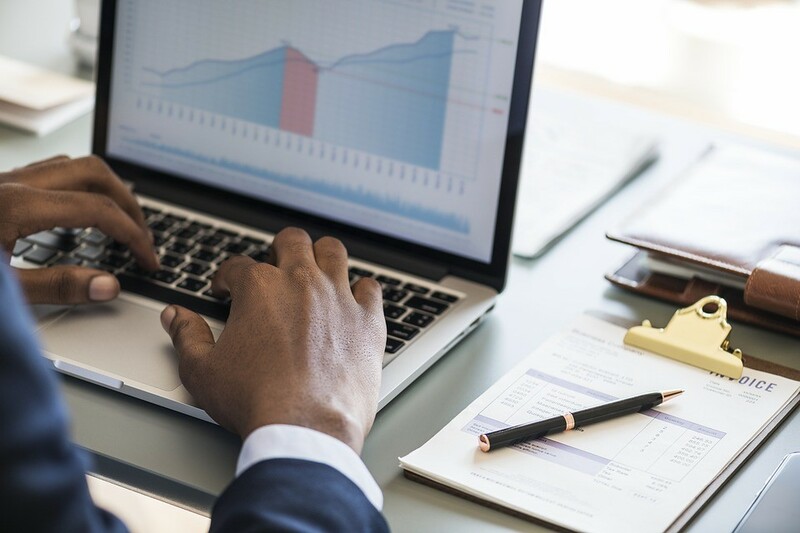 This startup is admittedly shaking up the FinTech atmosphere and with its plans of expansion in the books, it could just be one of the best in 2019. The internet has changed our lives forever and there's hardly any aspect of it that still remains untouched by the World Wide Web. Apart from simplifying the global trade, making information easily available and creating countless other potentially world-changing opportunities, the internet have also become a hub for digital entertainment. Online gaming has gained a lot of popularity in recent times and it will only grow in magnitude and scale as time passes on. 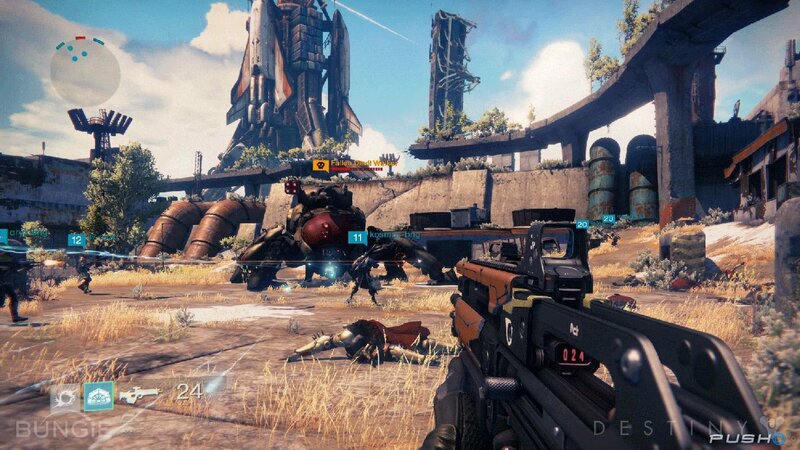 If you are looking to give this lucrative world of multiplayer battles, races and rewards a try, check out this list of the most popular genres in online gaming today. Imagine exploring, fighting and completing quests in a virtual world that's co-inhabited by thousands of other players and you should have an idea about what an MMO is exactly. Some of the most popular MMO titles include World of Warcraft, Tom Clancy's The Division, Guild Wars 2, Final Fantasy XIV and Tera Online. A FPS game typically puts you in the shoes of the protagonist, armed with guns, armor, grenades and much more to blow your opponents into oblivion! Multiplayer first person shooters like Counter Strike Global Offensive, Team Fortress 2 and Destiny are extremely popular and are enjoyed by thousands of players around the world every day. Various online casino games like Blackjack, Craps, Poker, Roulette, etc. are played and enjoyed by millions of players around the world now and with the security system getting tighter and safer with each passing day, the number is expected to increase. 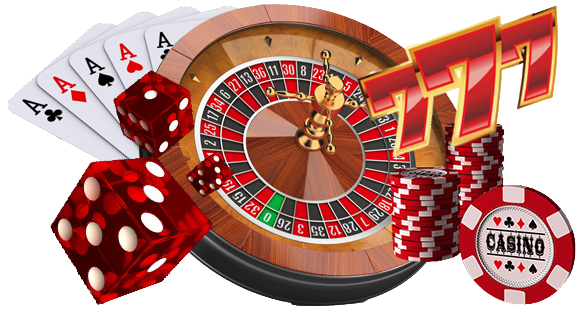 However, you should be careful and deal only with legal and trustworthy online casinos like casino.com for example. 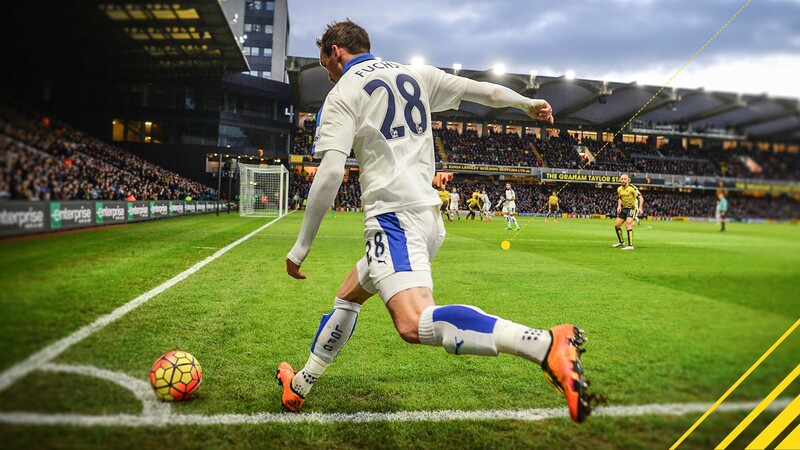 Sports games like the FIFA series or the Pro Evolution Soccer series make for some of the most intense real time competitive online simulations ever and that's exactly why they are so popular all over the world. Other popular games in the genre include the Madden series and the NBA series. Racing was one of the first genres in gaming ever to sport competitive multiplayer gameplay. The genre gained widespread popularity recently with the extremely successful NFS series of games. 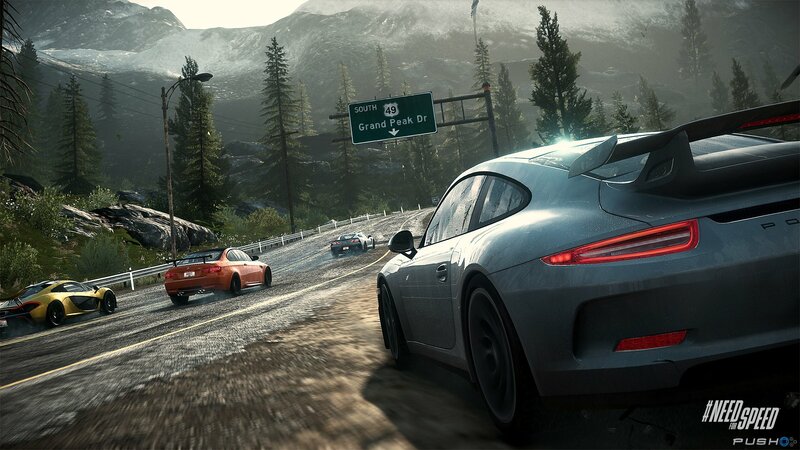 Apart from cars, online racing games may include bike racing, Jet Ski racing, etc. Basically anyone can pick up a controller and start throwing punches and kicks in a fighting game, but it takes true skill and precision to reach mastery of the game. 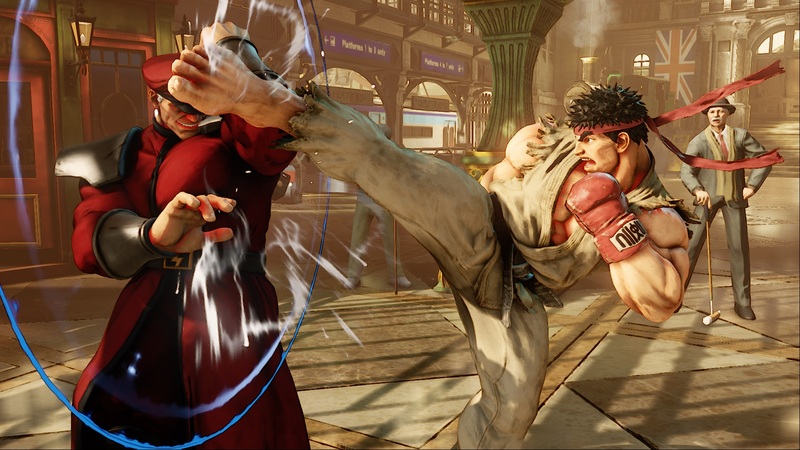 Although they are not as popular worldwide as some of the others on this list, the player base is still pretty strong for games such as Street Fighter or Tekken. Did we miss your favourite type of online games? If so, then let us know in the comments section below. Mobile games are an integral part of our everyday lives today. With more than 2 billion smartphone users, there is a massive player base behind them - no wonder mobile has become the most used (and most profitable) gaming platform of the world. The top games come and go - titles like Pokemon Go, Clash of Clans, and similar ones, briefly take over the top spot in the list of the most used apps of the world. There is a game type, though, that is constantly in the top 10, with millions choosing its casual fun day after day: slot machines. In the US, they are played socially, while in the rest of the world, players can choose between social versions and the real thing, offered by the Royal Vegas Canada (among many others). With millions choosing to spin the reels all over the world, slot machines are clearly among the most played casual games at a global scale. Let's see which were the Top 5 Most Popular Slots for October. The Dragon Dance is a very popular street spectacle in China - an integral part of many major festivals. 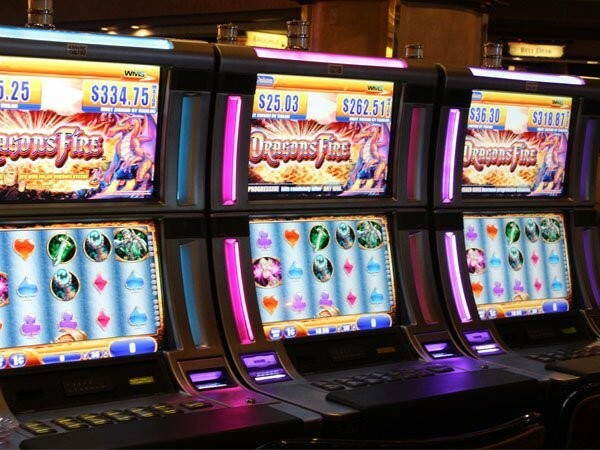 To make every day a celebration, the Royal Vegas has brought forth the Dragon Dance slot machine this February, as a way to greet the Chinese New Year. The game is not only popular around this holiday, though - this October, it was the fifth most played game at the casino. A new addition to the Royal Vegas game library, Shanghai Beauty takes its players on a trip into the sophisticated, elegant world of Asia. 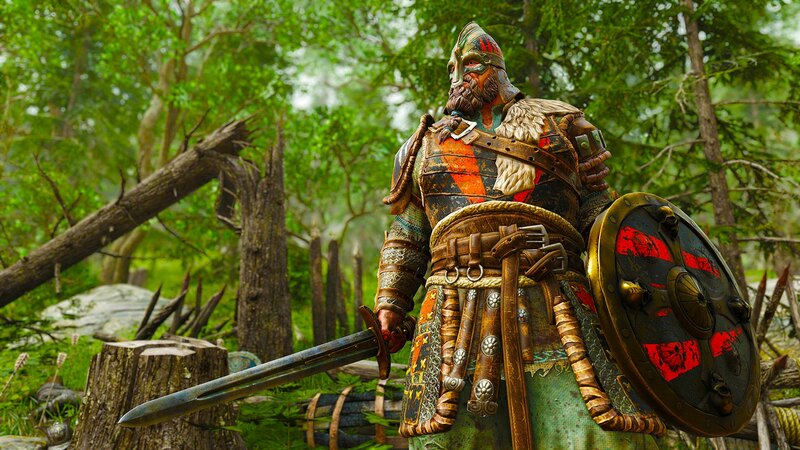 While the game doesn't have many bonus features, its combination of relaxing music and exciting action has turned it into a favorite last month. While the game itself is fun to play, most Mega Moolah players choose it for its big win. It's the game with the most generous jackpot at the Royal Vegas - it pays out millions to its luckiest fans several times a year. This jungle-themed slot machine was the third most played game here this October. A game based on a popular nursery rhyme, Bar Bar Black Sheep has more than just a cute look and a soothing music. Its reels are filled with farm-related symbols, along with a BAR symbol borrowed from the classic Vegas slot machines. Two BARs, coupled with a Black Sheep symbol, trigger the game's generous bonus, paying out up to 999 times the triggering bet. With Halloween coming, Royal Vegas players seemed to have found their taste for horror. Lost Vegas was the perfect game for them - it took them on a trip to a zombie-ridden Las Vegas, allowing them to join the Survivors or the Zombies in their quest for unimaginable riches. 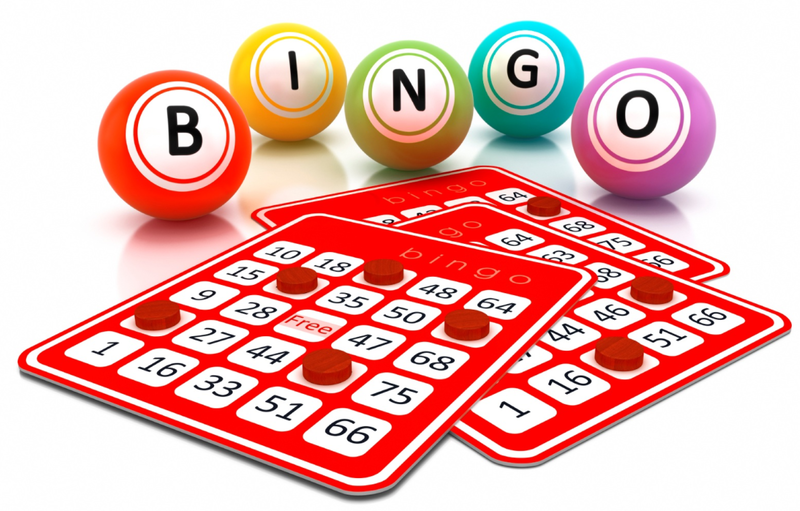 Bingo has been around for decades now and although the Bingo Hall's popularity isn't what it used to be before 2005, it continues to remain one of the most popular games online. On that note, let's now take a look at the two versions of bingo that are the most popular and can be played from any laptop, tablet or smartphone. This is the version where the grid is 5 x 5 and with the exception of the one in the middle, every one of the remaining 24 squares has a number in it. The central square is free for all. The player who manages to match all the numbers in a line first wins the Line 1 prize and this goes on till Line 5. These lines can be vertical, horizontal or even diagonal. This one is more popular than the 75 ball bingo in the UK and it's just as popular online today, as it was twelve years ago inside the Bingo Halls. All the tickets have three row and nine columns so the games are much longer than the 75 Ball version. Apart from the Full House prize, there are two other prizes to be won here, namely the Line 1 and the Line 2 prizes. As one can imagine, the Full house prize is usually the biggest one and to win it, you will need to check off all the numbers on your ticket. It's fairly easy and uncomplicated to start with. Can You Win Real Money in Online Bingo? As it turns out, you can win real money with online bingo and it's not that difficult either, but you will need a bit of luck and some strategies to increase your chances. In case you are new, don't worry about it, because most reputed bingo mobile sites give plenty of free chances and bonuses to their new players so that they can get used to the feel of how things work. The gaming world is almost unrecognisable from what it was in the 20th century. Console and PC games are becoming less popular as more people opt to play games on their smartphones or tablets. 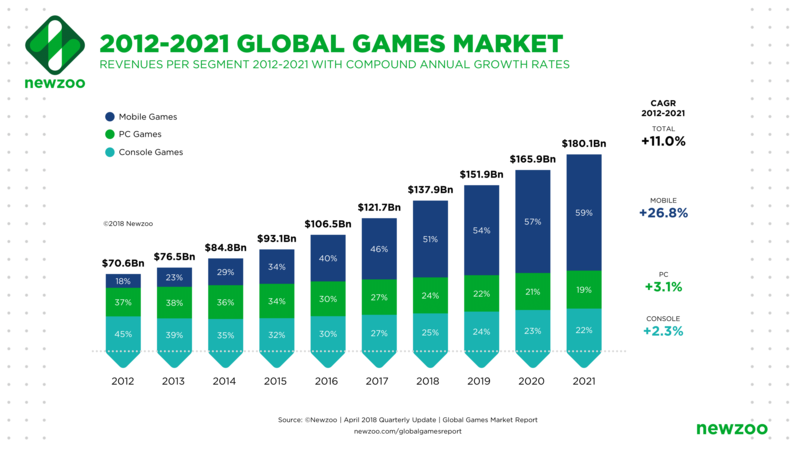 Today, mobile games bring in nearly half of global gaming revenue - and it's set to become even more dominant as a platform over the next few years. Avid consumers live in a world where they can access games like poker in the pub, roulette on the bus and blackjack in the office. Blackjack is in many ways the perfect game to play on the go - as the games are short and the turnaround so quick. It's a great way to make some fast cash. Some gamblers prefer US blackjack, which offers multiple options for betting minimums and maximums - making your gambling experience even more tailored to your lifestyle and preferences. Find out more about the rules of blackjack games such as Multihand Blackjack, Single Deck Blackjack or American blackjack and why it makes for a great mobile casino experience. 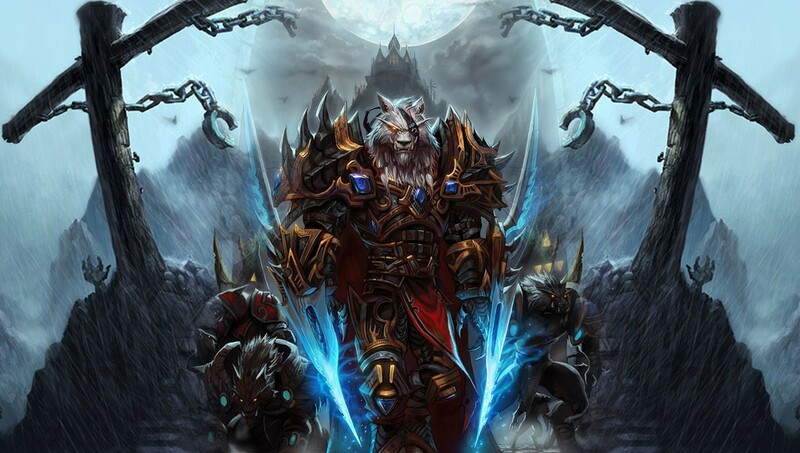 How did mobile gaming become such a success? Let's look at the history of this form of gaming and speculate how it could evolve into the future. Today you'll see that online casinos are engaging and immersive enough to give gamers an experience that rivals anything a land-based casino can deliver - but this wasn't always the case. The issue of who created the first online casino is largely disputed, but developer Microgaming is largely credited with building the first ever online gambling software in 1994. However, it wasn't until two years later that the first bet was accepted online. In 1996, InterCasino opened their metaphorical internet doors and offered customers the opportunity to play 18 casino games from the comfort of their own home. It was a landmark in the industry. Initially, online casino games represented an element of intrigue for eager players who were keen to gamble within their own environment. However, there were huge challenges to actually playing. The games were incredibly clunky and difficult to use, and the graphics were underdeveloped. At this point, it was still the case that, if you were really keen on gambling, you'd still be going to a land-based casino rather than a virtual one. Online casinos simply weren't good enough. Of course, one of the biggest challenges was the lack of access. Not everyone had a computer with the internet back then. The market was small and relied on a dedicated gamblers accessing online services from their desktop - a long way off the accessibility we enjoy today. The quality and abundance of online casinos have reflected the huge strides made in digital technology over the past two decades. Early pioneers Microgaming along with Playtech and Net Entertainment started to improve their offerings - and more competitors started to vie for a share of this market. There were 15 online casinos in 1997, but over 200 just a year later - attributed to increased internet speeds and broadband access, particularly in the US and UK. In 1998 the global internet gambling industry brought in £834 million in revenue, and it was only going to grow from there. As online casino gaming was getting quicker, it was also getting better. Improved graphics with more intense special effects appealed to more gamers. Add to that a broader selection of games - including slots, blackjack, poker and other casino favourites. In addition, the UK gambling act transformed the image of online casinos. They weren't seen as a seedy, unregulated part of the internet - they were official places to game, just like land-based casinos. Plus, with the legalisation of online gambling, governments were also raking in greater tax revenue and there were more employment opportunities - so everyone was a winner. It marked a massive shift in the industry. Thanks to Steve Jobs and the gurus Apple gurus in Silicon Valley, the world is now driven by smartphones. Online casinos recognised the potential of mobile gambling and quickly developed software to bring their services to the mobile market. These very first games allowed users to do something that had never been done before - gamble on the go. The in-built processing power of smartphones combined with their displays made the move from desktop to mobile seamless. Again, accessibility was key to the development of mobile gaming. 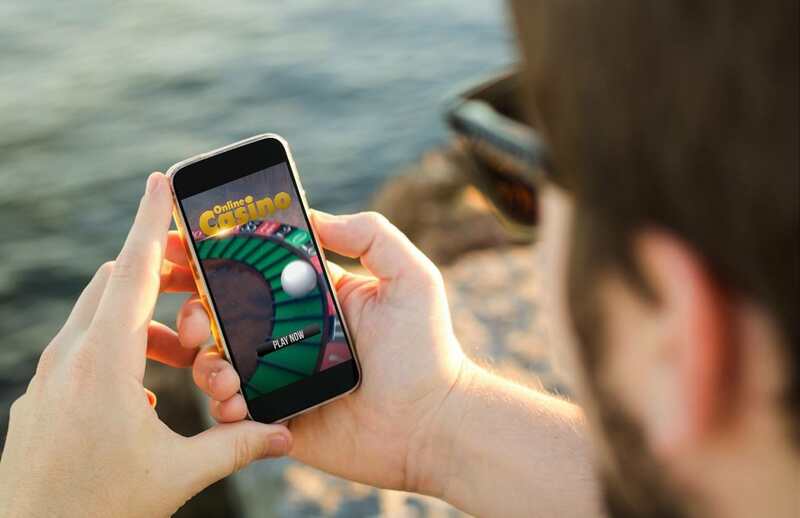 Improved mobile broadband across the world, phones with better processing speeds capable of handling the demands of high-quality games boosted the user experience of gambling apps - and the user numbers soon followed. 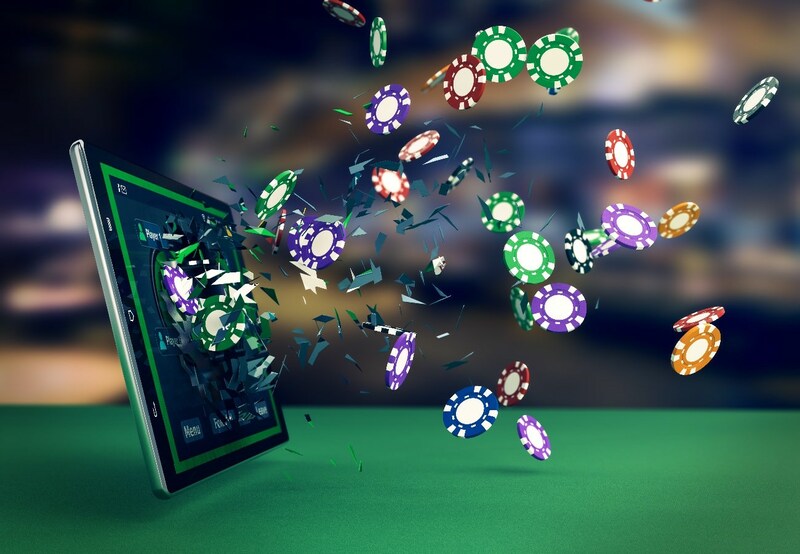 While desktop gambling sites remain popular, the mobile market has allowed betting companies to appeal to a new market of potential customers. Now developers can rake in steady revenues from players by offering in-app purchases and keeping their games free. Those punters previously put off by the exclusivity of betting shops and casinos can now make bets from their phone - anywhere, anytime. One of the drawbacks of an online casino is the lack of ‘real feel' that customers get when playing online - but operators are increasingly able to challenge that with immersive gameplay that could accelerate the decline of traditional land-based casinos, which have been struggling to compete with the industry as it is in the last decade. As ever, the industry is always looking for new ways to adapt and the most talked advancement at the moment is virtual reality. The industry's biggest developers and betting companies are investing heavily in software that will allow users to explore a completely interactive virtual casino. Virtual Reality has seemingly been in the pipeline for the past decade, however it finally looks like taking off with the success of traditional gaming VR headsets and ‘live beyond live' casino technology on the horizon. Another big step forward could be the relaxation of online gambling restrictions in the US. If this continues, the World Wide Web could become the new Las Vegas.